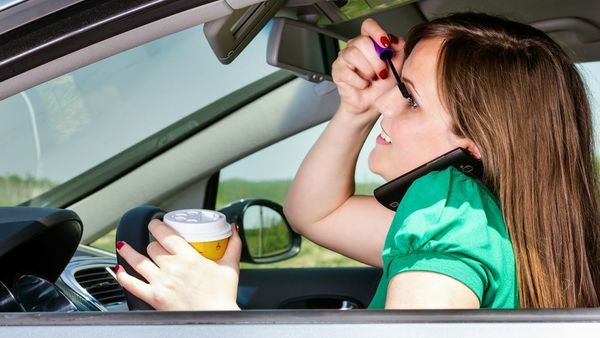 What Distracts You When You’re Driving? Distracted driving is one of the top causes of car accidents in the United States. In one single day, eight people are killed and 1,161 people are injured as a result of distracted drivers. But distracted driving is a very broad term. Most people associate distracted driving strictly with texting while driving, but distracted driving encompasses many more possibilities. Although smoking only accounts for about one percent of distracted driving accidents, it is still something to be wary about. While you are craving a cigarette, your mind is only focused on that need instead of on the road. Moving objects. This can include an insect that flew into your windshield or a child screaming in the backseat of the car. Either way, these can take your focus and your eyes off the road for any amount of time, and it can only take seconds for that to cause an accident. Adjusting the car. There are so many knobs and nodules to adjust in the car that any number of them can distract you. You could be adjusting your mirrors or your seatbelt. You could be changing the temperature or turning your music higher. Although listening to music itself has pretty little risk, focusing on the radio instead of the road could become fatal. Eating and drinking. We’ve all succumbed to the hunger while driving on the open road and stopped at a McDonalds along the way. But when you’re eating or drinking while driving, you are focused on not making a mess, not dropping any food and not spilling your drink. All of which are not as important as making sure you don’t crash into the back of the car that just stopped short. Reaching for something. Even though cell phone use is most common, even reaching for the cell phone is dangerous. It could be in your purse, on the floor, etc. No matter where it is, anything to do with your cell phone should be avoided. While passengers can be helpful if they catch something on the road you didn’t, such as a deer, they can also be fairly distracting. Talking with them takes your focus off the road and more on the conversation at hand, whether it’s something serious or just some menial topic. Looking out the window. Rubbernecking, which is the common term for slowing down to look at an accident, is actually a pretty common cause for accidents. If you’re too busy looking out the window at an accident, what’s going to stop you from not realizing traffic stopped and crashing into the back of the car in front of you? It is amazing what people think they can achieve behind the wheel of the car. Some people put on makeup while driving; others change their clothes; some even brush their teeth. All of these things require you to take your eyes and mind off the road to make sure you don’t poke yourself in the eye or drop toothpaste all over your business pants. GPS devices. It might seem weird that a device designed to help drivers would actually make them less safe on the roads. But GPS devices either require you to input your desired address manually, or gives extensive and complicated directions, which distracts you just as much. Cell phone use. We all knew this one was coming. At any given moment, more than 660,000 drivers are using cell phones while driving. This causes more than 1.6 million crashed per year. The reason this is the case is because texting causes a 400 percent increase in time you spend with your eyes off the road. Although all cell phone related activities are dangerous, texting is by far the most dangerous. Many accidents that happen can be prevented. Texting, putting on makeup and adjusting the car are all things that you can avoid doing until your car is not moving anymore. If you have been in a car accident caused by a distracted driver, de Lachica Law Firm, PLLC is committed to helping you with your personal injury case. Contact a Houston car accident injury lawyer at de Lachica Law Firm, PLLC today. When Does a Car Accident Become a Criminal Offense? Why Are Teen Drivers at Risk?